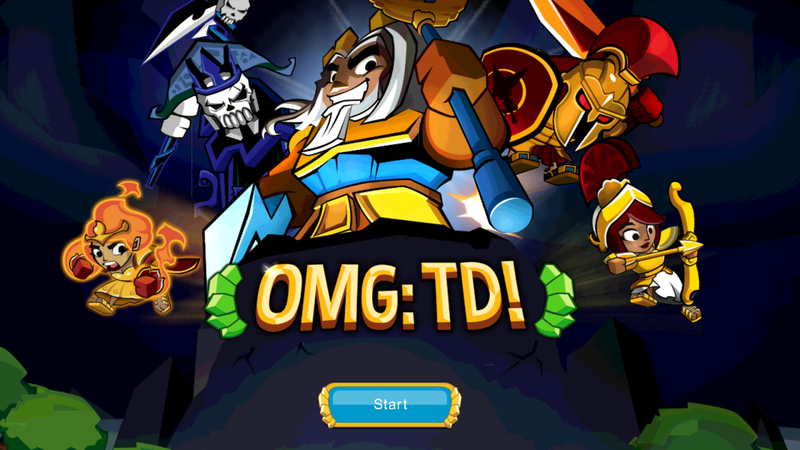 OMG:TD or Oh My God TD is a tower defense game release by Yodo1. 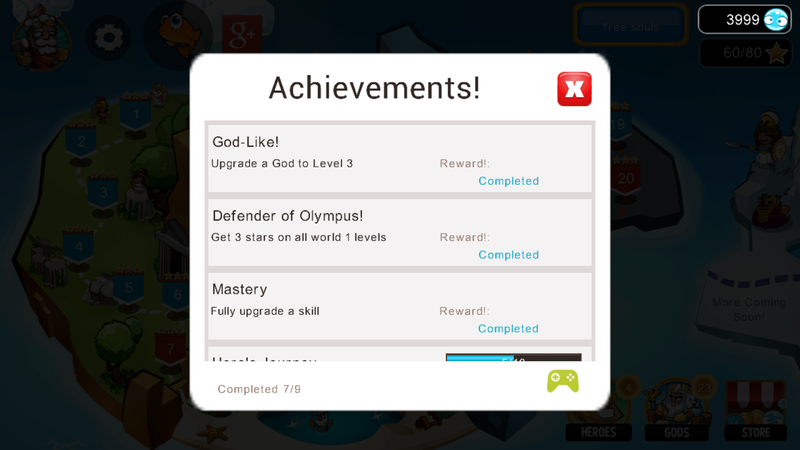 Command your 9 Greek Gods to help you in your battles. Each God has different elemental powers like fire, water and lighting and many more! Souls is the currency to upgrade your Gods or buy Hats for you legendary heroes you can earn souls each level or buy buying it online. You also get free souls bucompleting achievements. 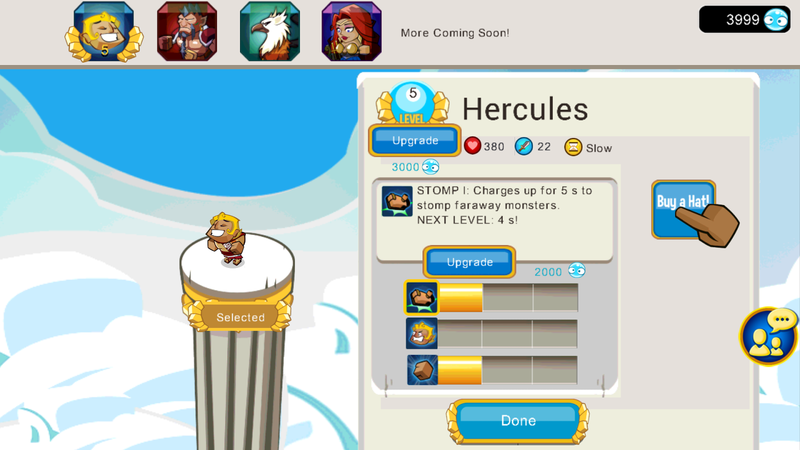 You also have hero Hercules is your default hero. If you want a different hero you need to buy using real money if you want to unlock Clyde S. Dale, Mr. Talonted and Nina Seamone. 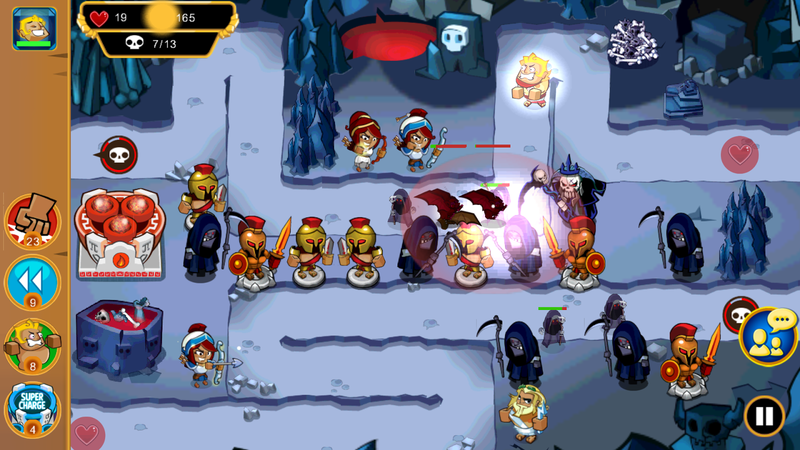 The gameplay is like any tower defense available on the market but the graphics in this game is cartoonish, simple and easy to play. If you're having a hard time fighting you can use different power ups like Fists of God, Beefcakes and Rewind. You might encounter Legendary Boss Monsters! Beware of this game! This is addicting action packed funny game! Try it on your own this is Free to Play no Internet required while playing. Defeat all your opponents and get 3 stars in each stages! Upgrade section for your heroes.